Chad & Jeremy's concert tours have been a great success over the last decade. At long last here is an album that truly captures their two-man stage sound for you to enjoy again and again. 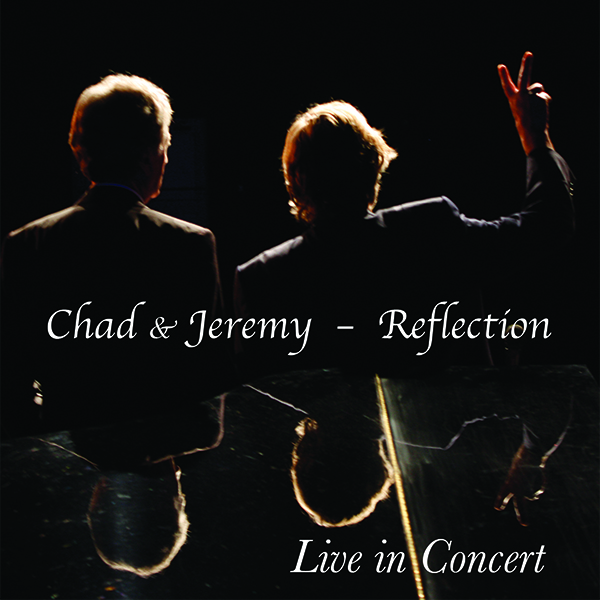 All of your favorites, new and old, are in this live performance CD recorded in three different cities during recent tours in order to capture a true reflection of the Chad & Jeremy sound. Signed copies ordered through the website include a webstore exclusive bonus disc entitled "Free Lunch", with an hour long radio interview and exclusive performances of "A Summer Song", "Take Out Some Insurance", "Dirty Old Town", and "Zanzibar Sunset" as well as an unheard live version of "You Are She". You can order it directly from us right here, with free shipping.